The American elections having successfully concluded with the re-election of President Obama to a second term in office, discussion will soon return to our own looming elections and what is at stake. As we prepare to immerse ourselves in the full depths of political rallies and electioneering, we should take a moment to reflect on some things that were said last night in America. Obama went on to talk not about the differences between his Democrat supporters and their opponents the Republicans, but the hopes and dreams that they both shared. These inspiring words could be a clue to what has made America successful – their willingness to keep their commonality in view, even when they disagree. 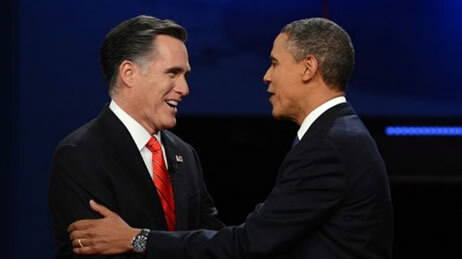 Even more amazing, though, was the reaction of the loser – Mitt Romney. When he was told that he had lost the election, he did not call for his supporters to take to the streets. He did not challenge the outcome in the courts. He picked up the phone and called Obama to congratulate him and said that he prays for Obama’s success. I have just called President Obama to congratulate him on his victory. His supporters and his campaign also deserve congratulations…This is a time of great challenges for America, and I pray that the president will be successful in guiding our nation. The nation, as you know, is at a critical point. At a time like this, we can’t risk partisan bickering and political posturing. Our leaders have to reach across the aisle to do the people’s work. We look to job creators of all kinds. We’re counting on you to invest, to hire, to step forward. “Put the people before the politics.” Such a simple message, but one that can mean the difference between years of fighting and years of progress. Our own national elections will begin soon. We will have the opportunity to choose our own leaders and to make our own future. When all the votes are counted, some of us will be satisified and some of us will be unsatisfied also. But instead of rejecting the outcome if it doesn’t suit our preferences, we should take a lesson from the American elections and in the words of Obama “make the difficult compromises needed to move this country forward” and in the words of Romney “put the people before the politics”. I suppose it was to be expected that Imran Khan’s impressive showing last Sunday would trigger a wave of people jumping on the PTI bandwagon. What’s funny, though, is how quickly the tsunami is sweeping up an army of yesterday’s has-beens. The latest announcement is that Tahir Rasheed has announced that he is supporting PTI. In case you are looking puzzled as I mention the name, don’t worry – you’re not the only one who’s never heard of him. So, to enlighten our energetic youth, let me fill you in on Rasheed’s bio. Sheikh Muhammad Tahir Rasheed’s father, Sheikh Muhammad Rasheed, is former MNA nominated by General Zia-ul-Haq and elected in non-party elections for the term 1985-1988. 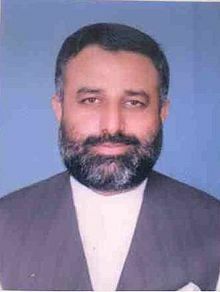 Tahir Rasheed took up the family business in 1990, first as MPA (PML-N) for PP-163 in Multan, then moving up to MNA for NA-116 in 1997. He sat out the 2002 elections since he wanted to take over as Multan Zila Nazim when SMQ left the post to stand for National Assembly. That didn’t work out for Tahir Rasheed, though. He tried switching to PML-Q, but that didn’t help either and he lost again in 2008. So now, Tahir Rasheed is hoping that maybe he can ride the new tsunami back into office if he jumps on the wave early enough. What is it they say? Third party is a charm? As the dust settles, Imran Khan has emerged the undisputed winner of the 2011 Jalsa Wars. Even if you control for the standard variables such as hired bodies and curious onlookers (certain to be much higher in this case), Imran’s crowd was impressive. On the other hand, Altaf’s late entry was little more than a side note, and after being outshone by the crowd at Minar-e-Pakistan, PML-N’s response that “in politics people make the decision through their vote” msuggests that the Sharifs are counting votes more closely than they did on Thursday. Still, despite the impressive showing, many questions remain as we inch closer to 2013. Speaking to New York Times reporter Salman Masood, Imran explained his political strategy. I found this somewhat concerning. Not that I think that Imran would be advised to adopt ‘traditional power-based politics’, but the ‘politics of movement’ is not necessarily the politics of solutions. Movements tend to be ideological and reactionary, whereas solutions require consensus and compromise. Rallying against corruption and governing in a society with deeply rooted patronage networks are two entirely different animals. Additionally, some of Imran’s strategy rings not of a new way forward, but an age old prejudice. Of course, if this were true, Nawaz Sharif might be PM instead of Yousuf Gilani. It turns out that despite this age-old racism, Pakistan is more than just a Punjabi playground. But, speaking in Lahore, it is sure to be a crowd pleaser. In fact, while the talking points that filled his speech may have been very popular, many of them were also very short-sighted. It’s easy for Imran Khan to say that “Imran will rather die” than ask for foreign aid. But Imran is not the one who will die without foreign aid. Remember, the Sharifs already tried this tactic, and it was the poor of Punjab who suffered for their display of jingoism. The loss of aid for schools, water and sanitation also won’t be felt acutely by the elite. Most send their children to private schools and live in leafy parts of Lahore dotted with Western restaurant chains, polo grounds and cosmetic surgery centers. The Sharifs own property in London worth millions of dollars. The Pakistani military, which has received the bulk of US assistance over the past decade, is also somewhat insulated from a reduction in aid. Its officers mostly live on well-manicured cantonments that have their own schools and hospitals that are much better than those available to the general public. Life is very different for Pakistanis who live in Shamaspura, a dirt-poor part of Lahore filled with ramshackle brick houses separated by a narrow mud lane coursing with sewage. Most of the roughly 15,000 residents are fruit and vegetable vendors who make about $2 per day. They are forced to tie pieces of cloth across their faucets to filter out dirt and insects in the water. Other promises were mere fantasies without answering the difficult question of how PTI is going to achieve what no other party has been able to. Mr Khan said a country that had “over 180 billion tons of coal reserves could not in any way be called an energy starved state”. There is an equally great potential in hydro-electric resources. “If the PTI can run thermal units even at 70 per cent of their installed capacity, currently running at 25 to 30 per cent, the country will have no energy crisis,” he said. And then there were the promises remind us how unfortunate it is that Imran chooses to put all of his energy into organising against the incumbent parties who, despite their many failings, are not the ones out killing innocent Pakistanis. Lines such as “The minorities should rest assured that the PTI will stand for them once in power”, raise the obvious question – why do they have to wait? Gathering 100,000 people to rally against the government and foreign drones is one thing, but why won’t Imran Khan organise 100,000 people to rally against sectarianism and obscurantism that’s killing people in our own backyard? As the excitement of Jalsa Wars dies down and people go back to their daily lives, it’s unclear if Imran Khan will be able to translate this frustration into votes, or if he could maintain this momentum once a PTI member was actually responsible for governing rather than merely complaining. Imran Khan has come a long way since the past 15 years, but he has a long way to go before he reaches the political maturity that a successful nation requires. There seem to be two common ideas that PTI walas are pushing in their support for their Kapataan: One is that Pakistan needs Dignity, Integrity and Self Respect. The other is that PTI has achieved a sweeping popularity, or to use the unfortunate choice of metaphor of PTI General Secretary Arif Aliv, a ‘tsunami’. The first issue I have dealt with before. Today, though, I want to address the issue of PTI and democracy. Last weekend, Islamabad lawyer and PTI wala Babar Sattar wrote another ode to the rising Kaptaan that made some curious claims about the role of democracy in Pakistan. According to Babar, “support for democracy in Pakistan is waning because people are losing faith in the electoral system as a mechanism for change”. I found this very puzzling. How can people lose faith in the electoral system after only one election? Thankfully, Babar explains it for us mere mortals. If all that the electoral process can do is either maintain the status quo or redistribute power in varied proportions amongst the same discredited players, should we not brace up for a long dark night with no stars on the horizon? If democracy continues to be defined by this garbage-in-garbage-out politics, how will continuity of the process help? In case you have not had the privilege of legal training, let me decipher this for you. The electoral system is a failure because people are electing the wrong leaders. Democracy is only good if it results in the right outcome. And who decides what is the right outcome? Apparently, Babar Sattar does. “[Imran Khan] has positioned himself right of the centre in the company of good-for-nothing religious parties company of good-for-nothing religious parties”. “The structure of [PTI]…can’t boast of reputable second-tier leadership, transparent decision-making processes and internal democratic mechanism that would prevent it from evolving into another autocratic party masquerading as a champion of democracy”. According to Babar, Imran Khan believes that “ordinary people are the lords and masters of Pakistan”. Of course, it’s these “ordinary people” who keep electing “garbage”. One would think that if Imran Khan truly believed that ordinary people are the lords and masters of Pakistan, he would respect their decisions in elections. And this brings me back to the question of this transparent attempt by PTI supporters to put into people’s heads a belief that PTI has massive support even though they can’t seem to win any elections. Does PTI believe their own hype? Or are they preparing to take another beating in the next elections by preparing to term the elections as bogus when they don’t win? In an ironic turn of events, the American Ambassador to the UN Susan E. Rice yesterday congratulated the people of Tunisia on their elections. Finally, the United States congratulates the Tunisian people on the reported high turnout in Sunday’s elections for a Constituent Assembly. This is a milestone on the Tunisian people’s path from dictatorship to a democratic government founded upon respect for the will of its citizens. We look forward to working with the people and government of Tunisia, including the new Constituent Assembly, over the next phase of their country’s historic transition. The Americans are congratulating Tunisia after the people elected a moderate Islamist government (surely not their top choice), while PTI terms the people elected by Pakistanis as garbage. It makes you wonder really believes that the ordinary people are lords and masters of their own fate? Does Imran still want to put Musharraf to death? In his attempts to return to Pakistan without handcuffs, Gen (R) Pervez Musharraf has been looking at Imran Khan as a possible partner. The Nation reported earlier this month that the former dictator told an audience at LUMS that “APML could stand by PTI if Imran Khan would take up the challenge of doing away with the crises facing the country and strengthening Pakistan”. Geo reported that talks between Imran Khan and Gen (r) Musharraf are being brokered by American Arjumand Hashmi. Imran Khan has been a little more coy about any possible grand alliance, possibly because his memory is not quite as short as Mushy’s. It was only a few years ago that Imran Khan announced a countrywide ‘Musharraf Hatao’ campaign. 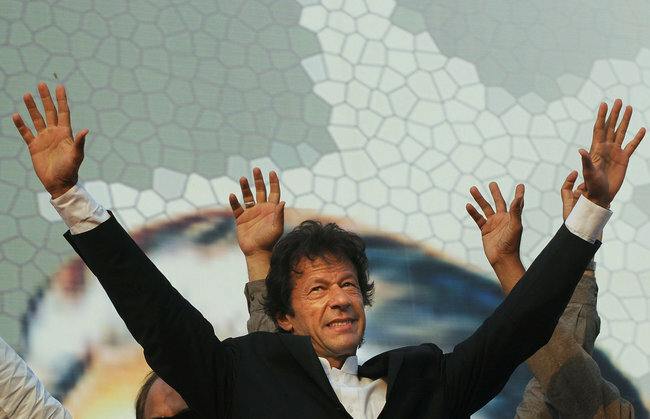 At the press conference, Imran Khan said Musharraf should be put to death. 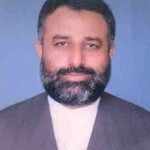 Imran said Musharraf had accepted responsibility for killing 83 innocent citizens in Bajaur. “Though Saddam did not confess to any killings, he has been awarded the death sentence. The same should be done with General Musharraf, who has publicly admitted the government’s involvement in the Bajaur airstrike,” he said. This raises an interesting question. If PTI-APML alliance somehow managed to form a government, would Imran Khan carry out his plan to execute Pervez Musharraf?